Third, many economic statistics have to be taken with a grain of salt. Government agencies are often under substantial political pressure to put a positive spin on the statistics they publish. Many economists work hard to please the economic elites and other powers-that-be, because that’s how you get ahead in that profession. Fortunately, there are enough “heterodox” economists who provide us with alternative views. This all doesn’t mean that statistics are worse than “damn lies”; on the contrary, one cannot make sense about where we are headed without statistics. The point here is that one needs to understand why different statistics may give us different answers. The most common statistics one sees about economic well-being is the trend in per-capita household incomes. This is not a particularly good way to measure economic well-being for two reasons. First, as households became smaller (because Americans have fewer children), the same wage of the primary breadwinner gets divided by a fewer heads, and that yields an illusion of things getting better. Second, as a result of massive entry of women into the labor force, the typical household today has two bread-winners, compared to a single-wage household of fifty years ago. Furthermore, many households today have even more than two wage-earners, because adult children don’t move away. As a result of both of these factors, the time trajectory of household income yields an overly optimistic view of how well Americans are doing economically. 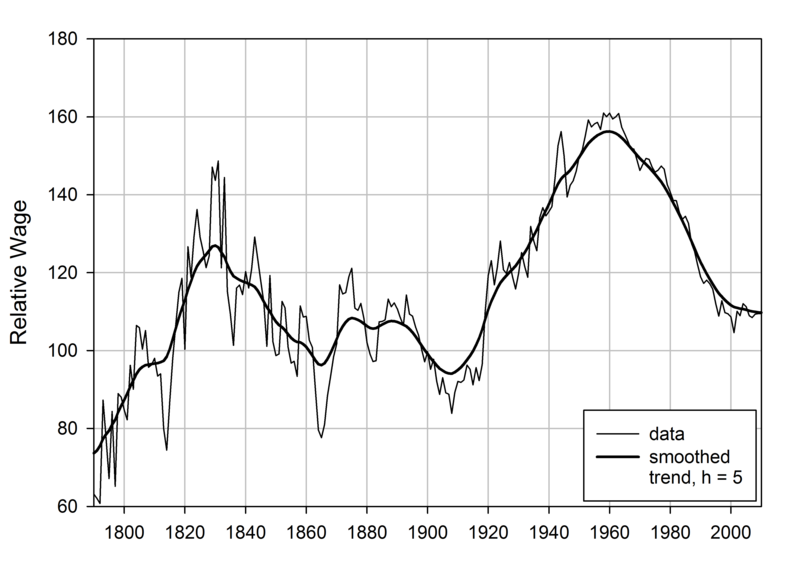 Source: Ages of Discord Relative wage has been declining since the 1960s. 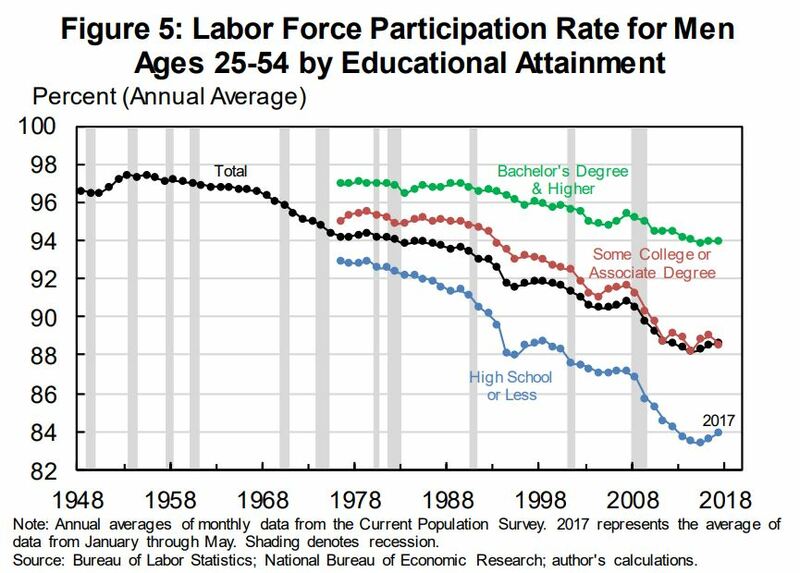 Dividing men by educational attainment is a way to check that declining labor participation rate is indeed due to decreasing demand for labor (because high school drop-outs have fewer job prospects than college-educated men). The trend is uniformly down, but it is worst for less-educated men. 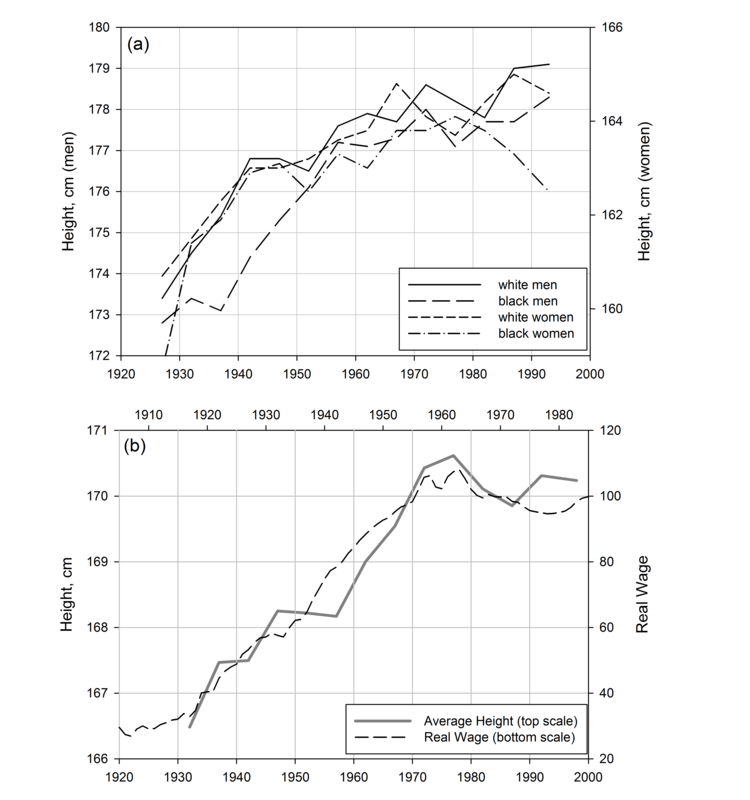 Panel (a) shows that average stature of native-born Americans grew rapidly until the 1970s, and then stagnated. A real shocker is that for some segments of the population (Black women) it actually declined in absolute terms. Panel (b) shows that there is a clear relationship between economic and biological measures of well-being (it’s further explained in Ages of Discord). The correlation between red counties and those who voted for Trump in 2016 is rather obvious. 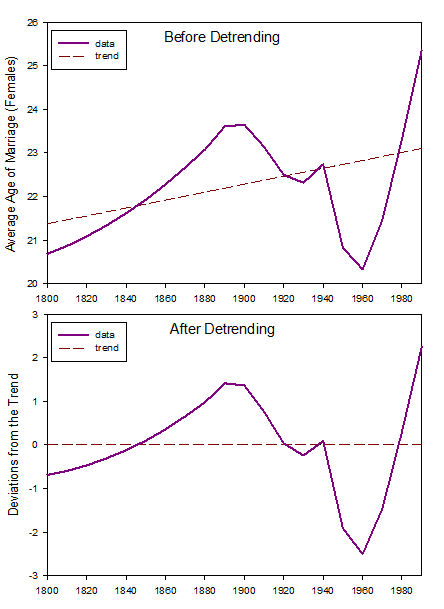 There is a long-term increase in the age of marriage driven by modernization (top panel), so we are interested in fluctuations around the trend (bottom panel). During the periods of increasing well-being (for example, between 1900 and 1960), average age of marriage tends to drop. Immiseration causes it to rise. In fact, an increasing proportion of people doesn’t marry at all. Many of them stay with their parents, and their earnings help to inflate household income statistics. 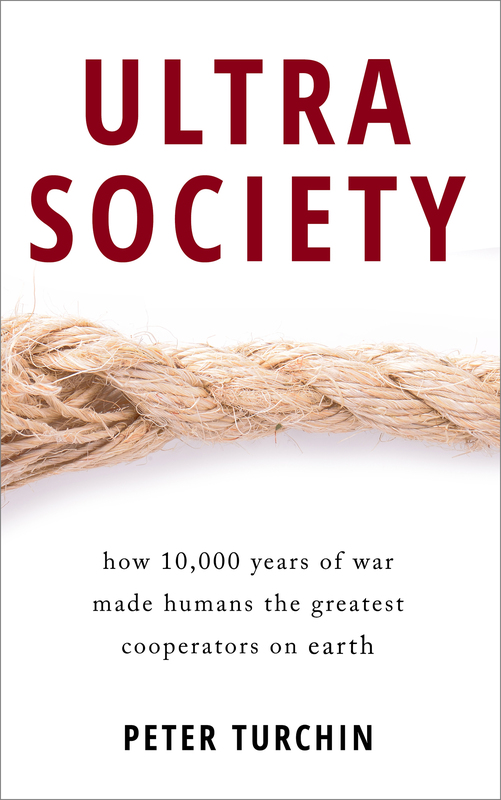 We know from the work of Jonathan Haidt and others that one of the most powerful factors explaining personal well-being is social embeddedness. Having a spouse is one of the most fundamental ways of being embedded. But a variety of other indicators, collected by Robert Putnam, shows that Americans are becoming increasingly less connected (I’ve written about it in another post). In short: a variety of indicators show that well-being of common American has been declining in the last four decades. The technical term for this in the structural-demographic theory is immiseration. 22.VIII.2017: Added the chart on men’s wages since 1979 broken down by wage percentile. So does this explain why Trump is so popular? He promises to save a substantial group of the US electorate who are emmiserated? Would this also be an explanation for why Adolph Hitler was popular in Germany prior to WW II? Yes a big part of his appeal was jobs taken away by globalists who stitched up the WWC with agreements like NAFTA and that means money. Trump has achieved a record level of employment for black people and has gone from 18% to 38% approval rating since the 2016 election. World War I and the Treaty of Versailles were significant for the rise of Hitler so he got support from non-Nazis. The working classes were more suspicious of him but at his most popular he was almost universally popular, especially among women and the rich who bought into his heroic figurehead. Germans perceived there was an injustice that needed to be fixed. Hitler promised them that. There is a book written before Trump was elected called “Listen Liberal” by Thomas Frank. As an Englishman it made Trump crystal clear to me – it details the immiseration of the working class American but also, and more, the abandonment of them by the Democratic Party as it pivoted to capital (East coast for Clinton, West Coast for Obama). I love your books and have bought them all. I haven’t yet gotten thru them all as they require close reading. There is another book that I’ve just started also backs up your observations in this article. This book is: WE WANTED WORKERS by George J. Borjas, a labor economist at Harvard. The reason that I bought that book was that I read that Dr. Borjas has calculated that legal/illegal immigration is cutting wages of unskilled working class Americans by $500 billion per year. I think it is much higher ($2 trillion), but my calculations are very crude and I wanted some solid confirmation of that so I bought that book. I suspect that my figures are higher because I’m also calculating, besides lower wages, HIGHER rents due to depressed vacancy rates (an extra $500 per month) and other things like the doubling of commute times in larger cities. I also think the wages of skilled workers are being depressed as well. Food is higher it seems, e.g. a gallon of milk in Silicon Valley is often $5 per gallon. In outlying areas may be as low as $2.50 a gallon. Yes! Housing seems to be three times higher. My mother bought a modest house in New Mexico in 1969 for $10,000. She was a school teacher and she made $10,000. This house was 10 years old in 1969 and was in a working class neighborhood. So… one year’s salary equals one house. I looked up that house last year and it is for sale for $120,000. The house looks the same, the neighborhood looks the same. So I looked up the average salary for school teachers and it is $43,000 in that town. So… THREE years salary equals one house. What happened? This house is now 50 years older too so it will need more repairs. This is what is happening to the working class in America. Productivity of American workers is up 300% from 1965 to 2015 but they have to pay 300% more for housing. This is theft … on such a grand scale …. as to defy comprehension. 10’s of trillions of dollars… maybe 100 trillion dollars over 50 years, if you count higher housing costs and flat wages. The question is where this inflation came from. Was it just market demand? or a combination of banks using real estate as security for money creation and lower interest rates. It’s the last. Should you incorporate interest rates, the monthly cost would not be tripple but about the same (6% compared to 2%)/ but at the same time debt risk has trippled, so that’s a real risk in relation to a much weaker labor market, including the number of one person households, which has trippled as well since 1969. While average mortgazes are still based on two incomes. Jee, I wonder where this immiseration comes from…?! If it was Taos, New Mexico, then maybe market demand might account for the increase, but I am talking about Farmington, New Mexico. The cool factor of Farmington is comparable to maybe Bakersfield, California, but smaller. Farmington isn’t competing for high-rollers that might otherwise settle in Austin or Tahoe. It is, as the name suggests a town based on agriculture. The interest rate at that time was 7%. My mother would qualify today for perhaps 4%. So if that was the ONLY criteria the house might, maybe be $80K rather than $120K, assuming that the buyer was only concerned about his monthy mortgage amount and didn’t give a damn about the price. The 2010 Census has Farmington almost doubled in size from 25,000 to 50,000 in the past 50 years. 25% are Hispanic now, and about 20% are Native American. Because of the agricultural nature of the town, and the lapse of enforcement of immigration laws, the Hispanic population will be mostly Mexican nationals. I live near Las Vegas now and I read that 17% of the workforce are Mexican nationals. What would wages be if that 17% were removed from the workforce? What would housing prices be if 22% of Farmington were not there? Beside Peter Turchin’s books, I would recommend AFFLUENCE AND INFLUENCE, THE GREAT LEVELER, and WE WANTED WORKERS. The books will fill you in “immigration” policies. Actually, I’ve stopped using that word “immigration”. It is a euphemism or cryptonym for “cheap labor” which is the real issue. I think that title says it all. At what average age was that average stature figure measured? Without knowing that it’s fairly meaningless. The average stature of someone at 20 years old is affected by their genes and their nutrition over the 20 years of their development from a baby into an adult, perhaps especially in the time to 15 years old. So if the figure for black women at 1985 represents those born in 1965 their nutritional deficit which affected their height occurred over the 1965-1980 period not in 1985. The latest figure would mean the deficit occurred over the 1975-1990 period. If the women in the sample were older, the time lag will be greater. 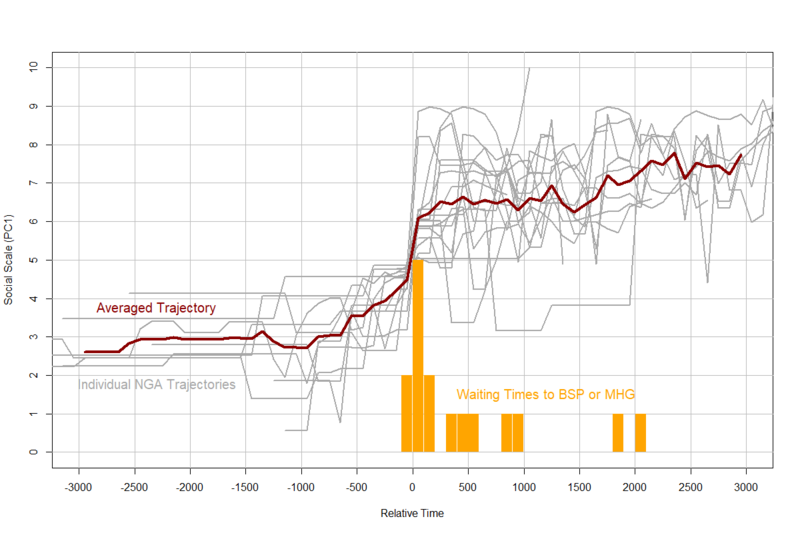 The curve should be shifted to reflect the lag so we know when the nutritional deficit occurred. If the average stature figure combines women of different ages we also need to be sure the drop in average stature for black women is not caused by a lot more of them living to very old age. Also, does this definition of ‘white’ here include hispanic Mexicans, who are generally shorter? Need to rule out the possibility the figure for whites could reflect immigration. In addition to your speculation, I was wondering whether the leveling off of stature could be a function of adequate nutrition: virtually everyone in the US has adequate nutrition during their growing years, so an individual’s adult height becomes a function of their genetic height potential, rather than of genetics and nutrition (environment). 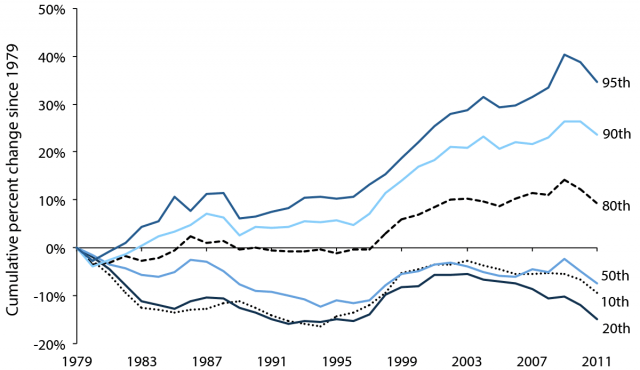 Edward, adult wages are measured after full growth is achieved around 20 years. After 20 years stature tends to decline with age, but this is easily corrected. This is one of the reasons why we only have definitive numbers on stature dynamics only up to 1997 (that is, 20 years ago). There is a very simple alternative model based on J.M.Keynes’s probabilistic algebra. 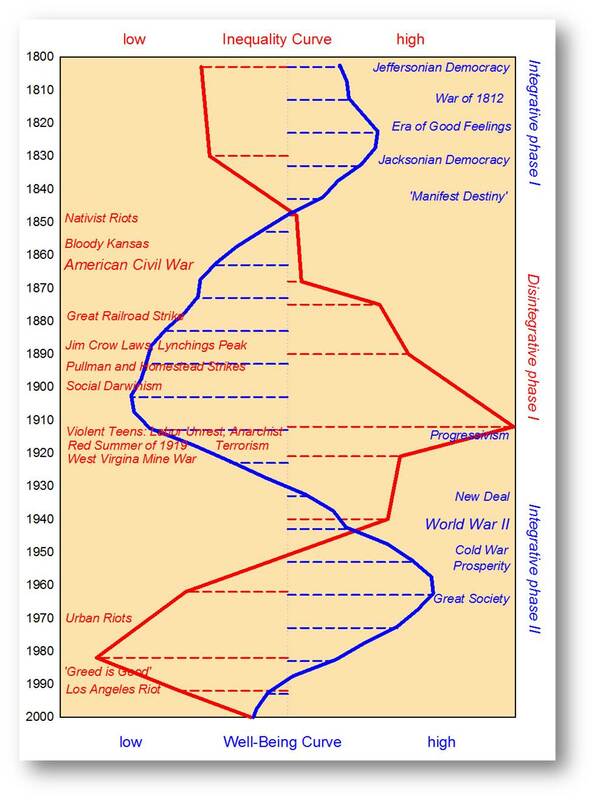 In general SDM is used as a statistic to foretell political evolutions, resulting in revolutions or wars. So it collects data which on their turn prove to be feeding political equations. Which also correlates to the elites and commons, because the disparity between the two is a given. On general however the evolution of things; behavioral patterns; is caused by abstracts, like religion, military and trade, where both segments; elites and commons; are involved in at the same time. So actually it’s about this equation, as it unfolds over time. To save time in looking for statistics, since it is a political equation, it satifies to look at the way it is represented by political parties. In Europe there is an ongoing trend towards anti establishment parties the last twenty years, so this represents dissatisfaction of the commons (immisseration if you like), since elites are supposed to be responsible for their conditions. However these numbers do not show up in either the US or UK… because they both are constituted on two party systems. It does not mean the problem does not exist/ but it is not represented in staristics. Hence the grapling for other statistics to deliver proof. Obviously Brexit and Trump were both manifestations of the same (anti establishment) problem/ but could not express itself in an opposition. Hence the break out. What statistics do not explain however is what created them. So when you are looking for a result created by statistics/ this still does not explain anything. You should first now what created the statistics. In this case it clearly is economics; trade has led to accountancy and military to legal systems, which are now overlapping abstracts (concepts) in society, each of one had its own candidate in the last US elections. The outcome expresses where the core problem lies: in trade, in economics. Becuase economic evolution can be quite easily understood in its efficiency/ also the problem can. I might come bacj to that later, to save some time. Peter, actually SDT is a theory that specifies mechanisms responsible for change. So we use both statistics and dynamical models that explain/predict the statistics. You remark how life expectancy is “robustly growing” in Western Europe. I have been deeply shocked by what the EU and the IMF has inflicted on Greece in the years since the euro crisis – so much so that I did a chart of mortality in Greece compared with Belgium (similar size). It is here for anyone who is interested: http://monicol.co.uk/charts/population.html. Deaths in Greece have soared. I was thinking of places like the Nordics (Denmark, Norway) and France, where inequality has hardly increased. I would be interested in seeing the stature data for Greece (and Spain), but my guess is that if there is an effect, it would only be for the last 10 years. Whereas in the US stature began declining for people who grew up in the 1980s and 1990s. @Peter Mott: I was also sceptical when I read the statement of growing life expectancies in Western Europa. According to your data it is not true for Greece. I don’t think it is true for Spain and Italy either. I have my doubts even for France, UK, and Germany. Did you ever write that blog post? My own conclusions were similar (considering benefits turns the story from “no wage growth” to “slow compensation growth”, but controlling for educational investment turns the story back to “compensation stagnated or shrunk for median/un-college-educated/unskilled/etc workers”) but I doubt I’ve put more than a fraction as much thought into the question. 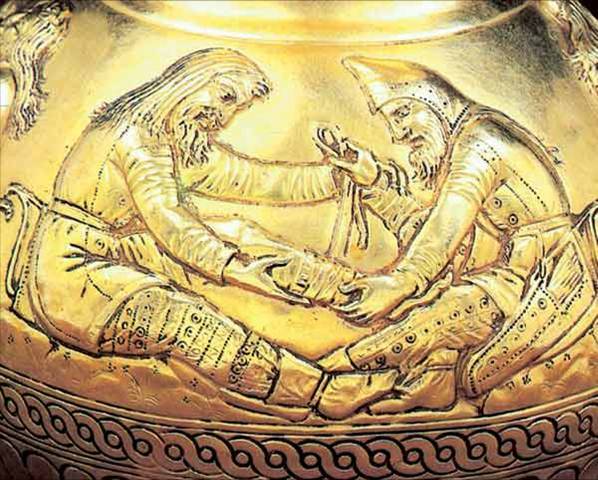 Excellent post, Dr. Turchin, thanks! How much of the flattening of the wage/household income is due to the middle class not reproducing itself / fertility factors? Due to social mobility you’d expect some of the middle to move up and some to move down but if there’s nobody in the middle or if the middle grows very slowly compared to the top and bottom then from the macro view it will look like the middle is disappearing. 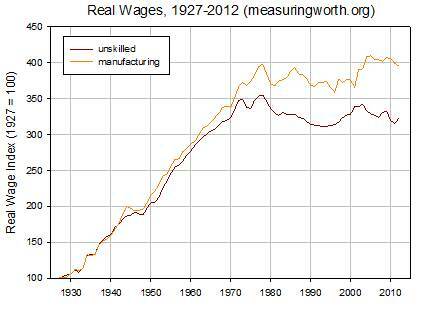 Decades ago it seemed like all it took to get into the middle class was a high school degree and a manufacturing job. The State subsidized the gatekeeper but now it seems the requirement is higher and that a college degree is required due to the increase in specialization. I know of several people who didn’t get a degree and went straight into the workforce but decades later have been laid off and they can’t find jobs because HR filters them out for not having a bachelors degree. It seems like getting back into productive work has become more difficult since the 1970s. That could help explain some of the immiseration. Sorry, but this attempt at proving immiseration was a total failure. Starting with your comment on household income. Your entire paragraph is confused. When you divide income between fewer individuals the per capita gain is not “illusory.” Ten thousand divided by three really, truly is greater than ten thousand divided by four. Please try checking the math. Next, the entrance of women in the workforce which you suggest is coloring the real trends actually occurred between 1950 and 1990. It has been flat since. Using your logic, this overstates the gains in the good old days and thus works against, not for, your more recent immiseration theory. The actual argument economists apply to the household data is that decreases in household size and increases in single households has drastically UNDERSTATED gains in per capita income trends. Your next set of data is extremely misleading. As I supplied in links in the prior post, per capita incomes have increased since 1980 between 40 and 60 percent depending how you adjust for inflation, and this includes the huge headwind of 30 million new immigrants. You counter this by showing stagnation for two tiny subsets of the population. Manufacturing workers make up 8.8% of the work force, and unskilled labor (which greatly overlaps with the above) makes up only 17%. To put it in perspective, 17% of workers in America are immigrants (75% of agriculture — a major component of unskilled labor — are immigrants). And if we looked at the actual increases of immigrants, since they start at a lower level (not captured in the data as it was in another country) they are likely the workers with the highest actual gains in welfare. The point is this. 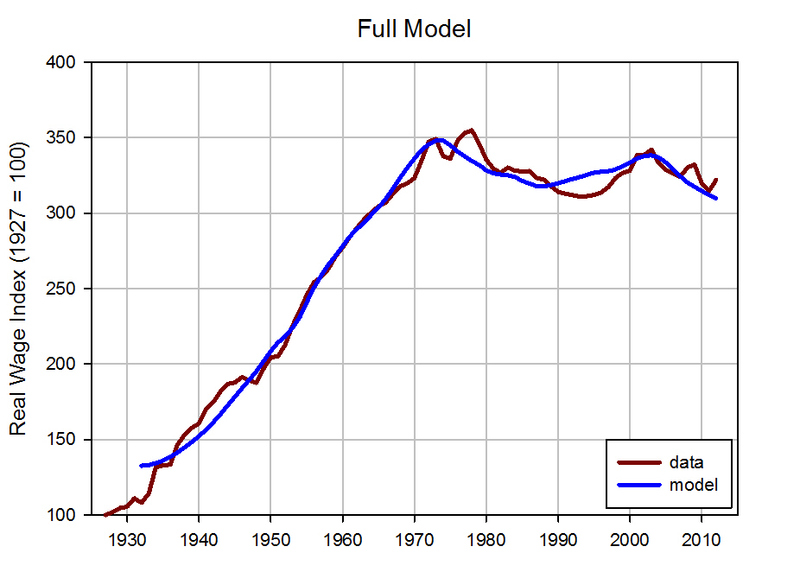 The median worker is doing better than they were ten twenty, or thirty years ago. Yes, the category of unskilled laborers born in the US has seen less gain than average, but according to the Measuring Worth website that you reference in your chart, even they saw an average increase in wages over the past 17 and past 37 years. I agree that there are some troubling trends in labor force participation. The research on the topic explains it by increases in years of schooling (a good thing presumably), and more troublingly by an increase in disability (IOW, most likely an increase in free riders cheating off the system despite current great rates of unemployment), and via an aging of the work force (I retired at 49 for example). My son, who is in his thirties and unmarried, recently took a half year off to explore Asia. A few years ago he did the same to hike the Appalachian trail. Is he immiserated? I am not trying to argue via anecdote, but my point is that not being in the labor force is not an a priori good or bad thing. Some leave it for good things like retirement, education or exploration. Others for bad things like free riding on our overly generous safety nets. Labor force participation is not a measure of immiseration. One other thing to point out is that during the era of your graph, there was a trend toward higher levels of education, that takes people out of the work force and it moves the population from lower education to higher, this has the odd statistical effect of exaggerating the trend data when you look at it by education level. Your pithy dismissal of leisure gains for men is disingenuous in the extreme. The gains in leisure come from more retirees and fewer hours worked per year per worker (which has been dropping steadily), not just unemployed lower skilled workers. The median worker — male and female works fewer hours and has more vacation than in prior generations (and is taxed at a lower rate thus taking more of the income home). The height data is just goofy. Your own data shows that three of the four classes have actually trended taller. This in no way helps your thesis. I have no idea why black women are getting shorter of late, but to try to explain it with economic data affecting all four groupings fails every sniff test. By the way, you do know that correlation does not prove causation, right? Finally, were you expecting people to keep getting taller infinitely at a linear rate? Just asking. The life expectancy data is so fiercely contrary to your data that I question whether you understand what you have written. You do realize that every single color other than red on the map is a GAIN in life expectancy, right? And that at least 80% of the map is other than red, and virtually all large population centers. In other words, you printed a map of generally RISING lifespans to try to prove lowering lifespans. Bizarre. I am a big fan of marriage, but if you want to try to prove lower marriage rates are explained by immiseration, then you got some work to do. I also agree suicide is bad. Maybe we should try to figure out why. Height has increased in general for most categories. Leisure has increased for women, for men and for working men. 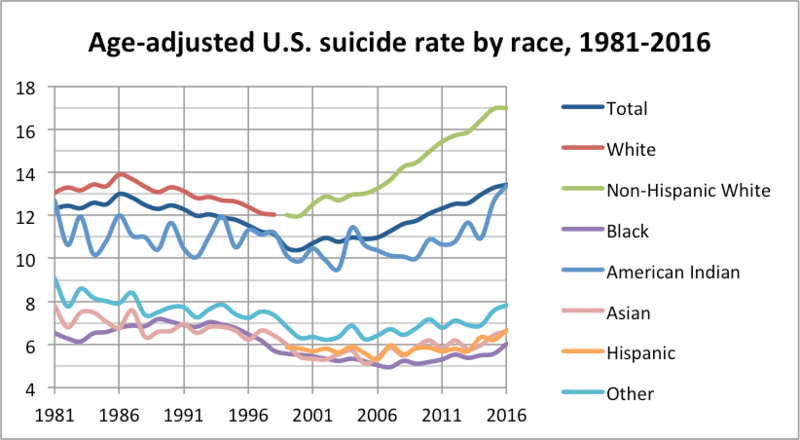 But we do have a problem in last decade or so with suicide, over past century with declining marriage rates, and there are isolated problems with men dropping out of the work force to do whatever, and black women seem to be getting shorter for some reason. Oh, yeah and we recently had a nasty recession, which we are now boldly bouncing out of. Immiseration is a well known Marxist theory which projects a “sciencey” sounding historical inevitability to the long term impoverishment of workers by capitalists. You are trying to dust it off now, by pretending we are seeing this immiseration. Your data fails completely. Don’t get me wrong. I am in no way arguing everything is getting better in every way for everybody. That would be Panglossian. There are problems in the US — a recent recession, suicide and opiate abuse spikes, pressure on unskilled drop outs trying to compete with a global work force, a weird president, and so on. Do you believe anyone not already a part of the choir would buy into your sermon? In a society which has a standard of living 30X the historic average, and lifespans double the historic average, a slower rate of increase (during a temporary recession) on a couple of factors or for some minor subgroups does not amount to immiseration in any conceivable definition of the term. Most factors, despite starting at ranges historically unimaginably good, have gotten better over the longer term. This includes income, real wages, height, health, education, survival rates with from breast cancer or AIDS, equality of opportunity, tolerance, lifespan, ownership of major appliances, cost of travel, leisure time and so forth. When someone takes something which is clearly exceptionally — no, outrageously— good from a long range historic standpoint and getting better (albeit at a slower rate) and tries to call this “immiseration,” I have to wonder what their motivation is. My guess is that books exaggerating doom, catastrophe and social disruption sell better. Thanks though for keeping your blog open to dissenting views. Hopefully I have had some influence. Swami, what miseries would one be justified in complaining about? Rich people having to pay taxes? In my rural American town, in the 2000 census, average household income was $42,000. In the 2010 census, the average household income was $24,000. In 2014 I took a trip to Australia and was gobsmacked to learn that Australians where the richest people in the world at that time. Australians ($180K) were worth 4x the median net worth per capita of Americans ($48K). I could see it. Au$tralia is like an upscale America. The US median net worth per capita used to be the highest in the world. So I did some research and found that the median net worth per capita has the USA in 2014 was in 22nd place at about $48K. Slovenia was in 21st place. Where in the heck is Slovenia? In 2017 the USA is down to 24th place. The median net worth per capita in Canada (~$100K) is DOUBLE that in the USA (~$50K). Why? The median net worth per capita in Australia is about $180K. Why? The median net worth per capita in Iceland is ~$400K….? WAAAAT? My sister was stationed in Taiwan in the 1970s. She had to be very careful when she threw her garbage out because if she did it at the wrong time, scavengers (human) could get into physical confrontations fighting over her American garbage. But now, the typical Taiwanese is worth $87K, 58% richer than an American. What is our GINI index these days? I guess the differences of Iceland, Canada and Australia are all based on resources. Many resources/ relative small population. The easiest way to make money with a growing world population is resources. Therefore you cannot make a comparison as if the situation should be equal. For instance it does not explain on what knowledge level these cultures operate, which is not necessarily high, since they have a smaller exchange rate of knowledge; roughly speaking of course, Canada is far from a backward culture. The economic issue is more how the money is distributed, what negative impact accountancies can have; like inflating costs of living for no good reason/ or depriving people from money with no good reason. I forgot to mention. Australians are less educated than Americans. But their immigration policy is geared towards getting the best and brightest or richest immigrants. A few refugees are let in tho. Oh, and they have a much better wall then we do (in the form of hundreds of miles of open ocean surrounding the country). Peter: Taiwan and Slovenia have hardly any natural resources. Same with S Korea and Japan. In a brief web search, the OECD´s Programme for International Student Assessment seems to show that as of 2015, Australian 15-year-olds outperformed those in America in math, while both nation’s highschoolers had essentially equal scores in science and reading. The US Department of Education’s Institute of Education Sciences’ International Educational Attainment table for May of this year shows that both countries are nearly equal in the percentage of their economically active populations with postsecondary degrees: 44 per cent for Australia and 46 per cent for the US, though the former seems to be increasing its proportion of college graduates more rapidly. As for relative prosperity, according to the World Bank, the 2017 per capita GDP for Australia was about $53,800, and for the US $59,532. However, the 2010 Australian Gini coefficient was 34.7, better than the US´s 40.4. Both of these instruments are sufficiently blunt that we could go on debating their meaning for longer than any of us has the patience, but examining one likely avenue of investigation, both countries suffer from declining union membership — about 15 per cent for Australia, and 10 percent for the US. What’s the point of asking ‘is he immiserated?’ if you’re not using this anecdote to make a point about levels of immiseration. For most people working is essential to earn money and also social status and power. To the extent working maintains our living world it can be an a priori good thing – depending on what is you are working on. Your son is a snapshot into the world of the middle or higher classes. He didn’t have a job – a loss of social status and power – so instead he took a risk and paid money on the basis he still belonged to the globe-trotting class. From the DST perspective he sought to acquire some stories of adventures and pictures which he could post to social media to demonstrate he was still a globe-trotter who had power and an acquaintance with a high-status lifestyle. As immiseration increases it becomes more and more expensive and difficult to maintain that image and the goal posts change so that even more money is needed to stay in that class. Inevitably people drop out. A trip to Asia is good but maybe everyone can afford that now so to demonstrate you have power you now need to go penguin-watching in Antarctica, race Lamborghinis around test circuits, or learn to fly helicopters. Immiseration is relative but is always absolutely related to power. Power is needed for protection and security from threat, for freedom of action, expression and creativity and preservation of your wealth to help your descendants. interesting. but until you tie economic activity to politics, it is the same old counting of angels dancing on pinheads. the usa was expressly designed to allow the rich to rule, and the poor to survive if they could. and it turned out just that way. you need a new design, although the average political awareness of americans is so dismal that it is hard to envision the possibility of substantial change. rome ‘fell’ for hundreds of years, but ‘rotted’ would be a better description. there too, the rich ruled, until the generals took over. that seems to be america’s fate. 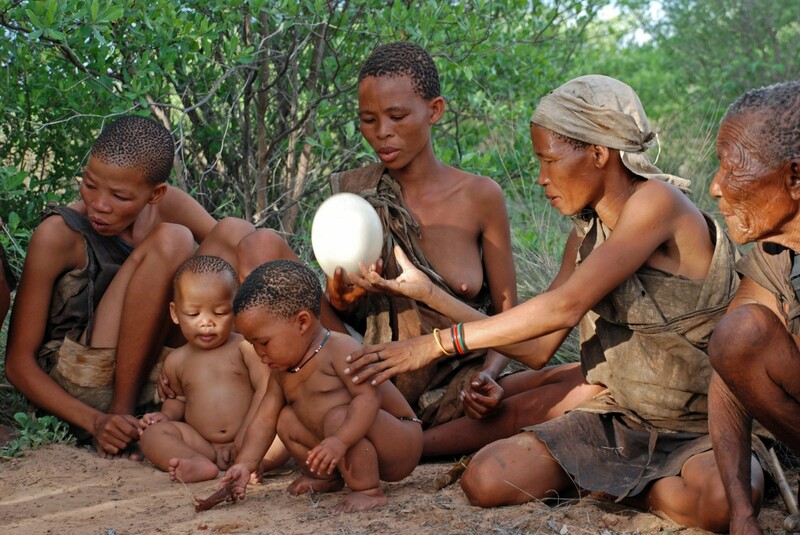 Fertility factors are not realy a reason for more one person households. Because women now have their own income/ they depend far less on a partner, are enjoying their freedom and dodging the increased risk of debt, when average house prices have quadrupled the past thirty years, whicht would occur by devorce. Everybody is evading marriage/ so this will lead to less offspring and a decreasing population, which is already happening in Japan I believe. Because of outsourcing simple labor; and automation; there is no local market anymore/ so immigrants are competing with wat’s left, what cannot be outsourced and create agony amongst local population; many cities in Europe now consist of 60% foreigners, a majority; and even students with a degree often cannot find work, so it is not just a case of lower class work, but too much competition also in middle areas. Including disappearing retail, because of high real estate inflation and more internet competition. The fact hourly wages are up compared to 40 years ago/ does not make up for real estate inflation, overall inflation, less job opportunities, more part time work, higher inequality and failing government programs. I believe the problem lies deeper and is more related to a general lack of self destination abilities in society. Drug abuse violence and suicide are clearly related to that. You cannot seperate them as if they have their own properties, nor compare them to numbers of casualties in the past related to war, to make them look good. I really appreciate this blog entry. I’m glad to have this material in one place. I am an economist and I’ve been looking into this topic for the past year. My conclusions are align with what you have written here. In general, I believe I find it relatively easy to adjust my thinking; however, I have found it hard to update my views to reflect what I’ve discovered in this area. Conversations with my friends confirms many have a similar aversion to this interpretation of the evidence. I’m still trying to untangle what is behind my attachment to my broadly rosy view of the US economy over the past 40 years. I’d like to draw to your attention one set of materials I’ve come across, though you likely know about it: Anne Case’s and Angus Deaton’s research on mortality trends in the US population. Their 2017 Brookings paper directly supports your characterization of the trends since the 1970s as population immiseration. They analyze the evolution of birth cohorts since the 1940s attempting to untangle what’s behind the substantial and sustained deterioration in health of working class Americans – a trend which is particularly evident among white less-than-college-degree people since the 1990s. NB. Since 2010 black Americans’ mortality rates show signs they may also be deteriorating via increased ‘despair’ deaths. Case and Deaton’s conclusions about drivers of these trends align completely with what you have said here. In essence their cohort-based ‘cumulative deprivation’ model results attribute the deterioration in health outcomes among the identified groups to changes those groups experienced in the labor market starting in the early 1970s. Their presentation of recurring and intensifying patterns of deterioration across birth cohorts across a range of wellbeing measures and data sources clearly justifies your characterization of immiseration – as the phenomena involves economic losses and increasing misery (declining health, more frequent pain, as well as ‘deaths of despair’ – encompassing suicide, alcohol-related fatty liver related deaths, and drug overdose deaths). Hi April, thanks for mentioning Case and Deaton — I am very aware of their work, but it’s hard to fit all the relevant pieces in a blog post (and I don’t even try). I think that “despair deaths” is the right way of thinking about the causes of declining biological well-being here. In other words biology and psychology are intertwined. Same thing happened in Russia after the collapse of the USSR. Proximate causes of the spiking death rates in Russia of the 1990s, especially hitting males, were homicide, suicide, alcoholism, heart disease, and accidents. But the underlying, or ultimate, causation was despair. And as economic and social conditions in Russia improved, so did various health indicators. Humans seem to be healthier and happier when inequality is much less than it is now; see Wilkinson et al., “The Spirit Level” and Wilkinson’s TED video. This seems to be hard-wired into human nature. From the last peak in inequality in 1930 to the recent trough in 1970, Americans’ health improved. Lower inequality levels promote social cohesion. It took a depression to break the last Gilded Age. Many fear the tech totalitarians will prevent a return to greater equality with their massive control over the rest of us in a neo-feudalism. Re lies, damn lies and statistics: Of course figures don’t lie…but liars can figure. An excellent example is Swami’s comment above. Swami’s opinions are driven by the conviction that US safety nets are overly generous. Swami I think is addled with hatred for the poor, aggrieved they are not suffering the consequences of their indiscipline. 1)I tend to think the performance of an economic system should first be measured by how well it delivers the basics: food, clothing, shelter. 2)One should examine the provision of education and health care to all, not just a few. 3)And only then should one examine the provision of so-called luxuries, like vacations; travel to visit relatives and friends; access to cultural amenities like theaters, especially live theater, museums, concerts, lectures; haute cuisine; access to political leadership; participation in cultural life; the ability to help family members, children in entering working life or parents in retirement; the ability to borrow money for businesses, and finally, whether or not the there is an estate for the next generation. #1 on this little list suggests that a comparison of household incomes to housing prices would be a good proxy measure of economic progress? (No doubt Swami is irate about Freddie Mac and Fannie Mae and mortgage interest deductions depriving people of housing.) And, the density of specialty clothing stores? And, the percentage of income spent on food in the household budget? #2 suggests the availability of dentistry would be a good proxy measure? And increases in the cost of higher education? #3 suggests the number of taxable estates is a good measure? And, any decline in the number and prevalence of cultural amenities? And, the length of vacation? And the percentage of people who have some sort of second home, however humble? I know that these are controversial measures. Obviously it may seem that any such measures must be inadequate if it doesn’t give the politically correct answers. Still, they seem apt enough to me, and even better amenable to calculation. I am not so certain it is possible to calculate economic pressures by demographic trends. In particular I am not certain one shouldn’t read the famous demographic transition in advanced economies as a decrease in population growth because families can’t afford more children. Or whether it is simply economic rationality not to have more children when, first, spares are not needed against child mortality, and second, offspring are no longer retirement investments. I think one could see a defining criterion of “middle class” as the ability of the wife to stay at home, or to easily pay for all household duties to be done by someone else. Wasn’t once the ability to keep a servant that marked a middle class household? If you think of a working class household as one where the mothers have to work and the kids are coped with as best they can, then the general trend has most certainly not be toward an increase in the so-called middle class, I think. And the general image of progress is contradicted. No doubt a Swami would immediately see this simply must be wrong. And a note to Swami: The idea that ten years after the last recession the economy is picking up falsifies the situation. There is a business cycle. Ten years after a crisis, there should be a boom. This is not a boom. Worse, there are already signs of the changes that will induce another crisis. It’s like some one who denies climate warming crowing about how, now, in January, it’s getting cooler. I am still waiting for your counter to my response to your pitch for Socialism last week over at BHL. It dovetails with this one in discussing “immiseration”. I have supplied links backing up that incomes, lifespan, leisure and so on are up and outrageously higher than historic averages. There are thousands of more where that came from. When someone proves your biases are wrong, it isn’t nice to call them a liar. It comes off as some kind of shallow defense mechanism. I have no idea why you are concocting some whacked out theory that my opinions are based on hatred of the poor, Calvinist doctrine and dislike of generous safety nets. Why not just go full monte and accuse me of killing puppies and hating mothers? Perhaps it is easier to attack me than my argument? Any familiarity with leisure trends shows you are wrong on your middle class work loads. Leisure is UP for women and for men in all but the highest income classes (where men now work more than ever). The trend over the past generation has been a movement from the middle class to the upper class, with immigrants (who see an average tripling of their income when they come here) filling in the lower classes. Your ending comment on the recession is almost half right (perhaps an example of the stopped watch truism). The aftermath of the recession, like the Great Depression, is concerning in how it didn’t respond fully to the normal business cycle rebound. I blame institutional responses in both cases — the medicine applied made us sicker. But I have already mentioned the recession as troubling a half dozen times on the past two blogs. The point is that a slower than normal recovery is not in any conceivable way the same as IMMISERATION. We are still experiencing rapid technological advancement that is unprecedented in history. That could easily mess up what would otherwise be a much more serious period of ‘immiseration’ the general symptoms of which are still possible to identify. Technology makes it cheaper to fix problems, like getting money to people who need it, and creating new jobs, keeping young people who are most comfortable with the latest technology still relevant. Crowd-funding is a thing that has become possible with social media. If technology had stayed the same over the last 30 years, like it normally did for other societies that had similar troubles, this form of income would not have been possible. There has been some economic problems but solutions are appearing at the same time and mitigating how bad it could have been. There are even more solutions out there that haven’t been tried like using Crypto smart contracts to run a more secure democratic vote. Both Peter and Swami are right but the extreme pace of technological change is a wild card. Our attitude should be to use it to fix problems that are arising due to the immiseration and elite conflict pressures. That does not mean bitter liberals who can’t get all the power they’re lusting for using social media monopolies to censorship of the views of over half the population. That will make DST factors worse across the board. It represents the discussion between two statistics: one looking at long term results (Swami) and one looking at medium and short term results, or comparative differences (Peter). Of course when DST depends on noticing relative medium and short term deviations to foretell evolution, it makes no sense just looking at long term. That’s why Peter is right and Swami is wrong. I kept out of that discussion because of its illiteracy. It’s no coincidence it also reflects the difference in position between the establishment, only looking at the statistics they like to see; which are often manipulated; and the people who stopped believing them. Examining the structural differences in place, the establishment is wrong. The change is long term. So the medium short term should recognize this and that process is what DST (evolution) foretells for the next years. Whether technology can create an alternative income via social media is a by effect and does not determinrme any final outcome. It does play an imortant role/ but not regarding income, it’s about knowledge. I note, in my college town, between 2010 & 2016 median household income dropped 10%. And infant mortalilty went up 13% nationally. Swami, didn’t bother to read your last post at BHL, because I’m convinced there’s something wrong with your brain. Usually these things turn out to be religious prejudices, but it’s true I don’t know what your idiosyncratic pathology is. But I don’t have to. Not only are you uncritical in reading the statistics you love to link to, but you are incompetent in reading them, much less assembling them together into a full picture. For just one example, in this thread you have managed to misinterpret widespread decline in life expectancy into the opposite on the pretext that it’s not universal. Dude, if the standard of living is progressively increasing why is are there so many places where it’s regressing? That’s the story, and it is either sheer incompetence, or simple dishonesty, to ignore it. You say things like the trend has been to move up to the upper classes. I still say that upper classes (actually I prefer “social strata” or the brief SES, but that’s me) leave estates large enough to be taxed. I do not believe you when you say that more people are leaving them. Moving goal posts is not the same as moving up. Hi all, I remind you that on this blog no ad hominem attacks are allowed! Please keep the conversation focused on the issues, and not on perceived failings of character or intelligence on the part of the commenters. I tried to understand your post Mr. Johnson. I did understand the emotional content and the ad hominems, but after several readings I couldn’t make out much else. You come across as someone who hasn’t slept in days. Sweden for instance: which is alo a resource country now claims their economy has grown thanks to immigrants. Arab countries on the golf have them in their own seperated cities (don’t care for integration) which is quite sick I believe. So if you need a relative low working class it’s not a problem for your economy. In fact the south of Italy, with deserted towns due to their own migration, also welcomes them. It depends very much on your situation/ but that on its turn proves politicians have not (and still are) anticipated this and therefore are rightfully critisized as ruling class. Tom Hite says he can’t understand, for example, “For just one example, in this thread you have managed to misinterpret widespread decline in life expectancy into the opposite on the pretext that it’s not universal. Dude, if the standard of living is progressively increasing why is are there so many places where it’s regressing?” It’s barely possible Mr. Hite is not reading in context. 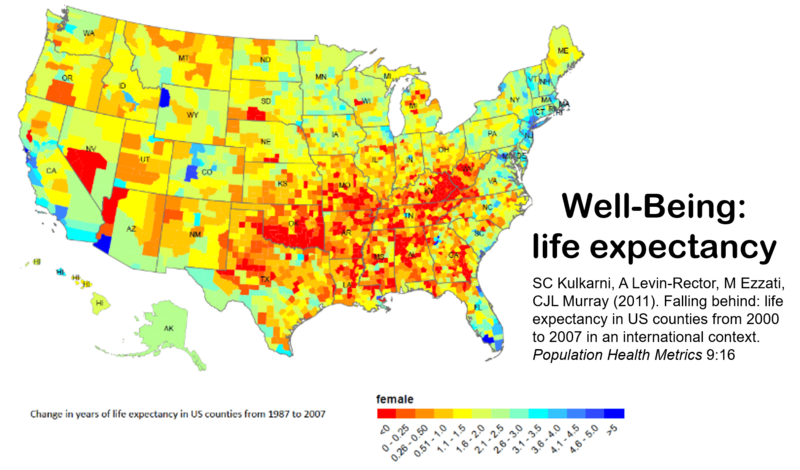 As to the first sentence, the context is the map of life expectancy changes in the OP, versus Swami’s comment “Lifespan has increased almost everywhere” That’s not what the map shows, even. Swami also wrote “In other words, you printed a map of generally RISING lifespans to try to prove lowering lifespans.” Professor Turchin has argued not just absolute but relative immiseration of the non-elite population, as has been made clear on many occasions. Swami’s version misrepresents the claim as absolute universal immiseration. Only Swami’s straw man is killed by the presence of areas of rising life expectancy. It is Swami’s rosy view of sharply rising universal prosperity that needs to explain how so many areas have dropping life expectancy. And if Mr. Hite reads the following sentence in context with the first quoted, “it’s” refers to life expectancy, the topic in the OP and in Swami’s comment. On the other hand, if the real problem is Swami’s charge of socialism, then obvious nothing I wrote could possibly make any sense under any circumstance whatsoever, context be damned, by definition of all that’s holy and righteous. I may have lost the context of the discussion. Sorry about that. It is a little complicated. I’ve been puzzled by Slovenia too, but I did see some large factories there so there could be resources and it’s a very smal population. Luxemburg has one of the highest rates and they don’t have anything at all, but have always been a safe haven for money. So that’s a type of resource too. Japan and Korea are both successfull in carefully chosen industries like car manufacturing and electronics, so social discipline is a resource too. there is also a growing number of obese: how this is linkend to immiseration? Obese can be related to the memory of previous generations having too little to eat/ or the insecurity of the obsereved future in the present time of the current generation. So obviously the two combine very well for immigrants, who could have the at the same time relation in both aspects. The alternative is anorexia, which uses the opposite attempt for control. Lady Dy was very insecure of her future. It is likely predominant for women, since their bodies are more flexibel in adapting to energy needs because of childbearing. The notion it is caused by the food industry is nonsense (“left wing fake news”)/ although of course healthy food has its own value as well. It is likely fat, salt and sugar deliver instant gratification of the problem, so they inflate the equation, but it is still caused by relative anxiety. I’d be interested in knowing you know this. I’d be interested in how you might explain why obesity is spreading across the globe. Even dogs are getting fatter as dog food is mostly carbs these days. It is almost impossible to find this out as the labels on dog food make it impossible to know the carb content. Just try! Explain to me why Pima Indians, whose reservation is split, half in Arizona and half in Mexico, are fat on the American side and skinny on the Mexican side. The American Pima Indians are rich as they run casinos. And the Mexican Pima Indians are hard scrabble farmers and poor. The American Pimas have the highest diabetes rates in the world. Everytime I see a known product like a candy bar and they reformulate it, they take out the expensive stuff like nuts and chocolate and substitute “caramel” which is the cheap sugar stuff. The corporate culpability in pushing carbs is a repeat of the tobacco industry disaster. Yes, well it proves previous generations were poor and therefore they eat a lot out of anxiety and they are a kind of immigrants. Casinos by the way are a kind of immiseration too in my opinion. I agree easy to get low quality food also plays a role, so the industry bares a responsibility, but nobody obliges you to buy the stuff. Certainly when they are rich. Seems like a locked up habitat. I think one of the factors missed here is financialization. Debt redistributes money from debtors to creditors via interest. Interest compounds exponentially. Banks in order to grow must continue to expand lending. Eventually, bad loans choke out good loans, debtors can’t pay, and you get a financial crisis. Pretty good observation. Although I believe it is a little bit more complicated. The financial industry got accustomed to the fact the economy only grows when more money (debt) is injected; which is also in their own interest; so it was politically acceptable as well: for the good of the country. FIRE only depends on contracts, so it is regarded as security. They can reinvest the yield in their own benefit/ but it has no direct relation with the real labor economy. When through globalization the labor economy gets more efficient, local labor as a result starts missing. But the financial industry keeps injecting, because it is based on their contracts for accumulation, self interest and general believe. As a result it inflates debt and the real economy cannot afford it anymore. The disassociated monetary debt system is one of biggest problems we are facing today. Ironically Lincoln evaded it by printing the greenback at the time , which was not debt related state paper. To finance the civil war. There is a conspiracy theory he was shot by a hired man from the Rothschilds, so they could reintroduce the debt system again. Whitch he otherwise would not have accepted. The story goes on because also president Wilson was confronted with the same problem in installing a central bank system. Which became the FED, a private bank association using debt as a means of transfer. Once he started to realize his mistake at the end of his second term it was too late. * The creditors going on a spending binge or a giving binge. However, they are usually careful not to sacrifice very much of their money in that fashion, so that is not usually very effective. At least not short of starting a latter-day Potlatch cult. * The creditors becoming unable to collect what their debtors owe them. This can happen from the debtors running out of money, by the debtors declaring bankruptcy, by the debtors refusing to pay, or by governments cancelling the debts (the Bible’s Jubilee years, for instance). * The creditors voluntarily deciding to forgive their debtors’ debts. * Would-be debtors refusing to go into debt. * Governments printing money. This risks the opposite calamity: inflation. * Abolishing money. That strikes me as economic crackpottery, though I have seen some people advocate it. * Redistributive taxation, from creditors to debtors. That does work, but it makes the creditors resentful of having to support those that they consider losers and failures. This sometimes gets turned into redistribution in the opposite direction, by the upper classes getting the politicians to exempt them from taxation. You can’t have true economic growth without credit, because literally if there are more goods in Y2 than their are in Y1, you can’t exchange the goods you acquired in Y1 for all the goods in Y2, so credit is necessary to consume the surplus created by a growing economy. However, this also creates long-term credit cycles and financial bubbles. If you consider the Bible, you have the practice of Jubilee every forty years, which presumably was intended to curb the long-term pernicious effects of credit. Likewise, in ancient times, you had periodic loan forgiveness (usually by state run banks). However, there is a easy if partial solution: tax income from interest, dividends and capital gains higher than wages and other profits. What Lincoln proved was that money without a debt relation was able to create an economy, as it was an accepted trade value. It set a value. It does not create inflation. Inflation would only occur when the same products would be flooded with more money. Because lenders (banks) are allowed to create money from securities; say 30x the value; it is in their benefit to inflate the value of those assets with low interest/ which means costs for the user, like mortgaging a house. So its inflation is not merely an effect of demand. Therefore a “conspiracy”. The other thing Lincoln proved is that the provider.of money has done nothing; like creating money from thin air; so therefore cannot ask a compensation for it. The intention is the money goes around/ not that it returns where it came from. Therefore the general acception (inertia in thinking) lenders always deserve a compensation for a performance is a false notion. A “conspiracy”. Because the general problem is debt; why would an economy need to be based on debt before it could function; it identifies the core problem itself, when it’s apparently not functioning with it. Because I am just writing about it; in terms of what it (money) means in a natural physics, energy and time equation. I found out it is making a very serious basic mistake. So you cannot solve the problem by just meddling with its current characteristics. When it comes to household income, in addition to multiple job holders, two observations from analyzing economic statistics for the Northern Shenandoah Valley, Virginia Planning District 7, 60 miles west of DC and partially in the MSA since 1990, there are many job holders with two or more jobs, this when accounting for workforce out and in commuting compared to number of jobs reported. More positions filled than workers, so some are holding two jobs. All reported because unemployment insurance is based on the individual and wages paid. Many jobs are part-time in order to avoid benefits threshold. Also, for those employed full-time, like manufacturing and warehousing, mandatory overtime raises income for households. Employers seem to prefer this to expanding full-time positions. Though household income has risen since the1970s, competition for land and housing has meant prices have grown far faster than local income. This commuters and retirees displace locals who move west and south for affordable housing to rent or buy. The region exports labor to the MSA and imports from the fringe. Commutes can be 90 minutes + one way. Ridesharing, the real kind, is difficult due to dispersed nature of jobs & housing. There are vanpools, but not door to door. Park & Ride lots allow this type of pooling. Variations of this relationship can be found in major MSAs. Not an issue transit can solve. When van is parked, no overhead cost of a driver or deadheading. High stress for everyone. Unpayable debt running things for too long.